I publish this each year at this time to remind us of great lakes of beer, lambs, groundhogs, milkmaids, and miracles. This includes St. Brigid’s Blessing, well worth reading. Tired of groundhog day? Celebrate St. Brigid instead. Saint Patrick, meet your better half! Brigid is a jolly saint of babies, poets, cows, scholars, travelers, and beer (the last attribution mine). She’s a vernal saint associated with the green fire of rising spring energy. Her Day is February 2, Imbolc. In Celtic mythology this the beginning of pre-spring, lambing, and lactation… birth and milk in the animal folk. She is a patron Saint of milk and milk givers, beast and human. Groundhog Day was formerly Bear Day. It’s time for us all to come out of the winter hibernation now. Artists, this means you. 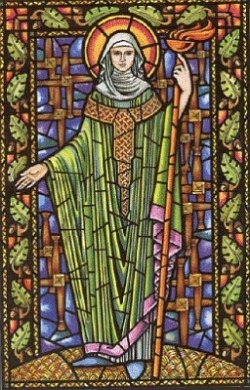 And in this year of drought, a bit of St. Brigid’s spring rain would be very healing. She studied under St. Patrick, founded her own convent, and tended the poor. Some– I am one– think that she surpassed him in his time. I often do series cow series that I associate with her, but what I love about her is this list of her best and deepest wishes for the world. Read through to the last two lines, then get yourself a brewsky. Right you are! I loved that part of the story… her out-of-control generosity. She’s just so cool, and relatively unknown. Me like too. I’m drinking Alley Cat Ale these days, from the Humboldt Nation. Come share one. Or you can have one all to yourself! Cecilia, thanks so much. I found a picture of a child Bridget in a cow herd as well. She’s a benevolent spirit we need today… a “green” and mediating saint. Thanks for following, too. Oh, I wanted to tell you that there’s a St.Bridget’s Farm as well in Maryland, raising beef humanely. She’s the best. And even real! 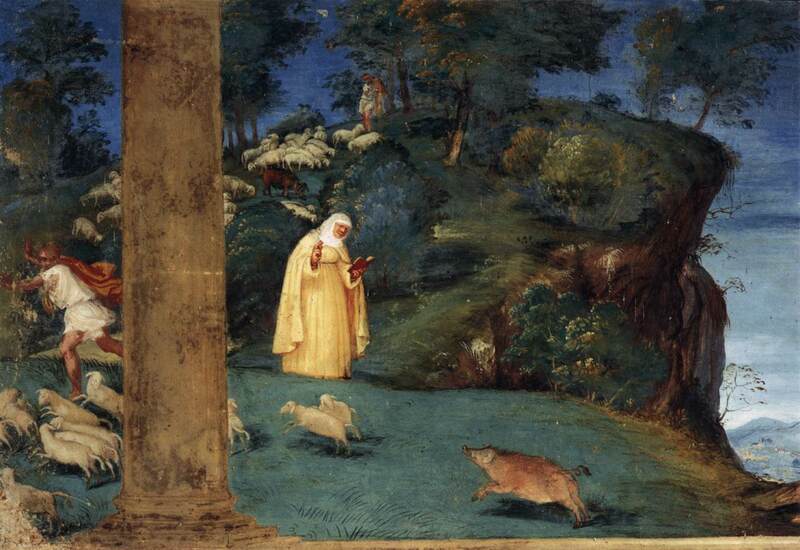 A saint who liked beer, babies, cows, books, poets. Thanks, Tommy. My parents gave me the middle name of Brigid because she was both a Catholic saint (who loved beer) and revered in Celtic mythology. I love that about her, too. And now as a nursing mother, I love her even more! Thanks for writing this piece. Yes, Brigid rules milk– appropriate now for you! It’s a lucky name. Blessings to you and your little ones. A wish for the blessing of rain this spring.